This year’s Museums at Night Flickr group is live! We’re not running a Flickr competition for Museums at Night photos this year – the spirit of the campaign is about collaboration, not competition! However, there is a Museums at Night 2011 Flickr group here http://www.flickr.com/groups/museumsatnight2011/. Everyone who took photos of any Museums at Night events this year is warmly invited to click through and share their pictures: we’d like to use some of them to illustrate articles about this year’s campaign, and to promote Museums at Night in future. And the latest reason on my long, long list of Reasons I love working with museum and gallery folk – today I’d like to thank the four thoughtful people who, on trying to fill in our survey for venues who ran Museums at Night events, took the time to send me a polite email letting me know that one question didn’t quite make sense. You’re completely right – the logic of the question wasn’t set up correctly, but we’ve now made the change. If you ran a Museums at Night event, we’re keen to find out how the experience was for you. How many visitors came along? What went well? How could we improve what we offer you next year? Please let us know by filling in our venue survey here. Here’s a link to my extended interview about Museums at Night with Paul Mex of Radio Reverb (my bit starts at 25:54). I was determined to stay on track and plug every single Museums at Night event in Sussex – but somehow we also ended up discussing James Brown, Motorhead and messages from beyond the grave. It was lots of fun chatting away and attempting to return to the key points I wanted to make! Thanks for an amazing Museums at Night campaign! Museums at Night is over for another year – and wasn’t it amazing? The campaign which has been consuming our every waking thought for months finally culminated in an action-packed weekend of discovery and delight: on Friday, Saturday and Sunday around 457 events took place at 352 venues. This is absolutely fantastic – to stage over 100 more events than last year, in a time of such economic difficulty, is a resounding endorsement of the campaign. Mew Lab animation projected on to the front of Watford Museum's 18th century facade. Picture courtesy Dave Parker. Project manager Nick Stockman and I would like to thank all the hardworking Culture24 staff who helped the campaign to come together, in particular the ever-resourceful Larna Pantrey-Mayer and Ruth Harper. Stephen Bradley built the Museums at Night event-finding widget, while Richard Moss, Ben Miller and the rest of the editorial team wrote numerous articles promoting the campaign. Signe Troost has been a diligent and cheerful campaign intern, while Cath Hume, together with Tom Windsor and Pam Jarvis from Sussex Arts Marketing, are now working on the campaign evaluation. We’ve been overwhelmed by the amount of media coverage Museums at Night received this year: congratulations to all the venues who got local publicity, and to PR coordinator Pandora George of Bullet PR, who worked incredibly hard to arrange national and regional press, radio and TV coverage. Thanks to the staff of BBC History Magazine, and everyone who distributed the printed Guides to Museums at Night. We also appreciate the work of photographer Pal Hansen, our photoshoot locations the Horniman Museum and the Victoria & Albert Museum, and our fabulous models. We’re very grateful to all our campaign partners for their support: campaign funders the Museums, Libraries and Archives Council and Arts Council England; media partner Sky Arts; Visit England; the Department for Culture, Media and Sport; Future Shorts; the National Trust; English Heritage; the Historic Houses Association, the Arts Marketing Association; the Festival of Museums; the Museums Association; and the National Museum Directors’ Conference. Sky Arts kindly subsidised sleepover tickets at 5 venues around the UK, while Future Shorts curated a short film programme that ran at 11 venues. We’re very grateful to these partners, and hope to collaborate on similar opportunities in future. Campaign ambassador Lauren Laverne not only spoke movingly about Museums at Night at the launch event, but also penned an enthusiastic article about the campaign for Grazia magazine. Thanks to Historic Royal Palaces and the Kensington Palace staff, WILDWORKS Theatre Company and Blue Strawberry Catering for making the launch such a success! 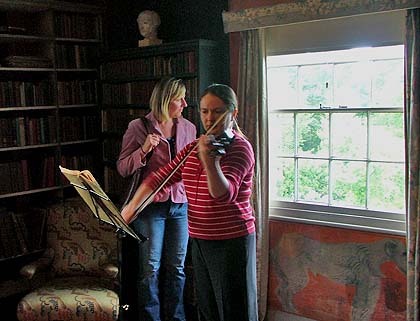 We’re also very grateful to our competition partners Faber & Faber and the Faber Archive; the Victoria & Albert Museum; Erin O’Connor; Historic Royal Palaces and Lucy Worsley. I’d like to thank everyone who wrote inspiring guest posts for this blog, connected with us and sent encouraging messages on Twitter, Facebook and LinkedIn, and who phoned the office or sent emails to ask me questions about things that I hadn’t made clear. I’d also like to thank Jacqueline Chiffert and the Nuit des Musees team for their encouragement – and my friends and family for their patience! 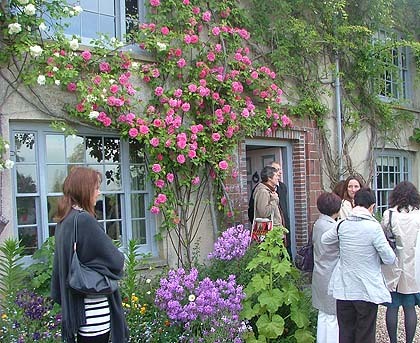 Finally, Sky Arts sent camera crews to record the action in ten different venues which were staging Museums at Night events: they’re currently editing the footage down to make a 30 minute documentary, which will premiere on June 3 2011 on Sky Arts 2 at 6:30 pm. Watch the trailer here! Late yesterday afternoon, as Museums at Night weekend finally kicked off, Culture24 staff shared a bottle of cava and cheerfully toasted the biggest ever Museums at Night. Then we went our separate ways to check out the events – and here are some of our highlights! Museums at Night project manager Nick Stockman was bowled over by the beautiful atmosphere of Charleston in the evening: knowledgeable tour guides, soft music, friendly visitors and a house and garden designed and created to satisfy an artist’s eye made for a magical experience at this historic house. Read Nick’s story, and see more of his photos, here. Art writer Mark Sheerin stepped on board the Birmingham Art Bus where he met a gang of eager culture vultures, rocketing through the Ikon Gallery, the RBSA, mac (the Midlands Art Centre) and the Barber Institute. He even ended up at an old-school rave in Digbeth’s VIVID – proof of the incredible diversity of Museums at Night events! Read Mark’s story, and see his photos, here. Staff writer Ben Miller zipped between three very different events in London: discovering the naval history of HQS Wellington on the Thames, debating horror films among the ancient artefacts with an audience of UCL students at the Petrie Museum of Egyptian Archaeology, and finally discovering the music, dance, and glamorous hair and makeup of the 1940s in the bustling Churchill War Rooms! Read Ben’s story, and see his photos, here. As for me? I went to the late openings of two video art installations curated by Lighthouse in Brighton which I’d meant to check out earlier, but had never found the time to get to. Kutlug Ataman‘s screens full of tumbling water are incredibly compelling amid the massive, darkened space of the disused Old Municipal Market. However, it was Lynette Wallworth’s interactive video art at the University Gallery that moved me most: you step up to a lifesize dark screen, and press your hand to a flickering blue light. From the darkness, a woman slowly steps forward into the light, and presses her hand to yours in acknowledgement, before returning to the darkness. It felt incredibly powerful to experience these encounters on my own – more so when I read some of the moving stories of the tribulations these women had survived. Finally, I was part of a wonderful communal experience: waving in front of Everything Looks Beautiful in Slow Motion, created by Nic Sandilands and South East Dance, and projected out from the Lighthouse building. A bright light shines across the street for about 30 seconds, and captures the passers-by on video. Then this video is replayed in grainy black-and-white slow motion. I chatted with families with children bouncing in and out of the spotlight, confused tourists dashing in and out of the camera beams and chuckling uncontrollably, and a confused drunken gentleman who clearly found the experience very disconcerting: all human life was there. And one extra review: my parents went to the Victorian Soiree at the Courtauld Institute in London, a gallery they’d never been to before. Not only did they find the building fascinating, but Mum was astonished to find herself face to face with the Van Gogh’s famous self -portrait with a bandaged ear, and realise that this was the original she’d only seen reproduced before. Their highlights included the live music, the Victorian parlour games, and a talk about some of the artworks by expert Ayla Lapine. “In theory,” Mum commented over the phone, “we could go to this sort of thing every week – but we don’t ever seem to get around to it!” And that’s why Museums at Night is so popular, I think – the marketing campaign leading up to this one weekend gently nudges so many people, prompting them to try visiting new arts and heritage places. Have you been to any Museums at Night events? We’d love to hear what you thought! Leave a comment or drop me an email at rosie@culture24.org.uk – and don’t forget there are many more events taking place tonight and tomorrow night! Find the complete event listings here: www.museumsatnight.org.uk. 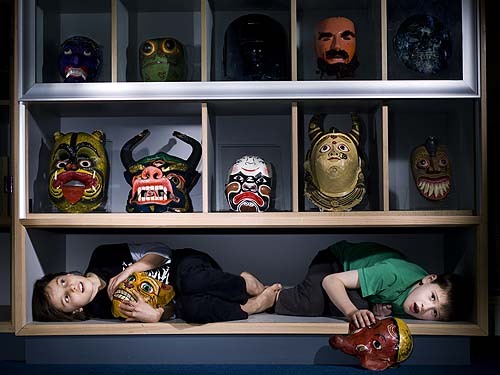 The latest Museums at Night roundup – it’s all go! Posted on May 14, 2011 by Culture24 | Comments Off on The latest Museums at Night roundup – it’s all go! Want to see and hear some of the coverage the campaign has had so far? Here’s what went out on ITV’s breakfast show Daybreak yesterday morning: http://www.itv.com/daybreak/lifestyle/familiesandparenting/museums-at-night/ – I think we should all give Nick Hewitt from the Explosino! Museum of Naval Firepower a big pat on the back for his enthusiasm and for saying such wonderful things about Museums at Night! We’re delighted that Museums at Night was a lead story in Time Out magazine (and apparently also became the top story on their website – Londoners love their after-hours arts and heritage! ), and I’ve lost track of the amount of newspaper and magazine coverage we had too! I was interviewed chatting enthusiastically for Radio 5 Live – my interview begins 24 minutes in. The radio piece I’m most proud of is this interview with Radio Devon: I’d prepared ahead of time, and the interviewer, David Fitzgerald, let me get into my stride. My part begins at 2:06:40, and after me, you’ll hear Dee Martin of Torre Abbey going in to more detail about their Live Action Cluedo event. Nick was interviewed by the unusual DJ double-act of Ken Livingstone and David Mellor on LBC Radio this lunchtime, talking about Museums at Night happenings in the capital tonight. 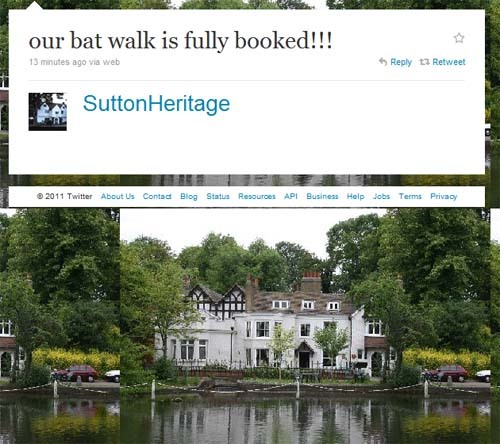 One of the events he gave a plug to was the bat walk at Whitehall, Cheam: and now we know that radio publicity works, as just a few minutes ago their local museum service Sutton Heritage proudly tweeted that this event had sold out! Radio publicity is instantly effective! We’ll also be on Radio 5 Live from 8pm tonight. It’s all very exciting! Comments Off on The latest Museums at Night roundup – it’s all go! 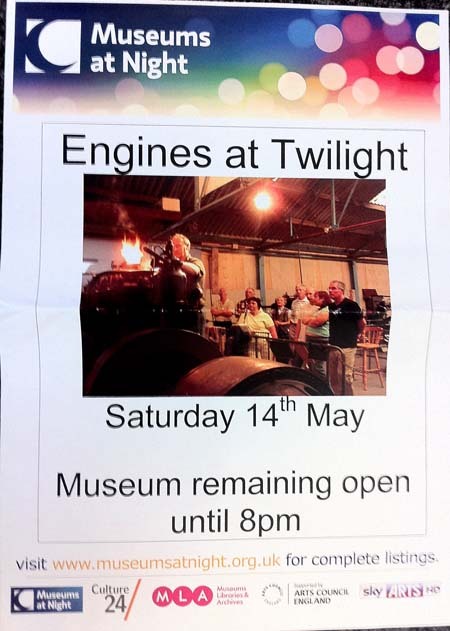 Urgent Museums at Night PR opportunity: want extra publicity? Posted on May 13, 2011 by Culture24 | Comments Off on Urgent Museums at Night PR opportunity: want extra publicity? URGENT: An extra, last-minute opportunity has come up for one lucky Museums at Night venue to get some major publicity tonight: but the conditions, (as always) aren’t easy to fulfil. please call PR wunderkind Pandora George right now on 07729 469220! 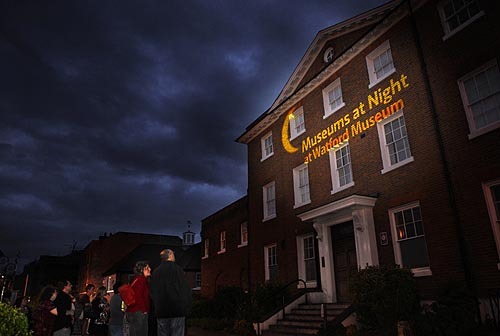 Comments Off on Urgent Museums at Night PR opportunity: want extra publicity? MUSEUMS AT NIGHT IS HERE, PEOPLE! Tune in to Sky News at 1:45 to see the Director of the Churchill War Rooms discussing it! Everything is frantically exciting at C24 Towers right now, but I’m keen to share this guest blog post from Newlyn Art Gallery’s Education Officer Cat Gibbard about a really unusual creative Museums at Night event: all-night printing and bookbinding down in Cornwall! Things are beginning to take shape in preparation for our Museums at Night marathon creative event, A Book of the Night. The current inhabitants of our pop –up studio, which forms an integral part of The Exchange’s current exhibition Print! (www.printpz.com) are the illustrators and designers Alexandra Higglet and Georgina Hounsome. Check out their blog, where they’re writing about what it’s like being on a week-long artists’ residency at The Exchange www.studionumbersix.blogspot.com! 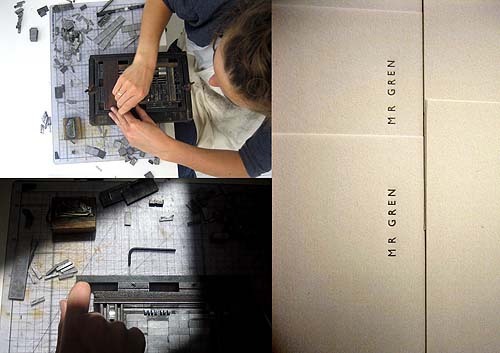 Alexandra Higglet's letterpress printing. Image courtesy of Studio Number Six. To bring our Museums at Night plans together, we’re making the most of having these experts around. Alex and George are going to lead a merry band of creatives through the night from Saturday to Sunday, designing and printing pieces of artwork that will ultimately be bound into a book, making aunique record of the night. Although we’re all relishing the challenge of only having 12 hours in which to create something beautiful, as the time approaches, anxieties about the physical test of a sleepless night have begun to creep to the fore – we’re hoping that night-time nibbles from Newlyn Cheese and Charcuterie, a few glasses of wine and some upbeat music will keep the old grey matter stimulated. 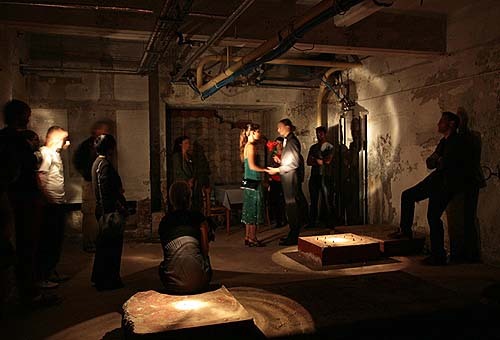 A night-time performance in Newlyn Art Gallery's basement, part of the 2010 Fluxus Now Symposium. Image courtesy Newlyn Art Gallery. At the last count, 23 intrepid people had registered to take part in this very unusual printing challenge! Although their identities will remain under wraps until they meet each other for the first time on the night, I can reveal that their ages range from 19 to 83 and amongst the artists, printmakers and writers we’ll also be welcoming a musician and an architect! PZ Conservation will be popping by as the action gets underway on Saturday, no doubt bringing with them some words of wisdom on the technicalities of producing a book. They’ll reappear on Sunday morning to gather up the pages ready for binding – and to applaud those who are still standing! 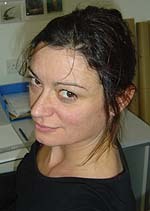 Cat Gibbard is Education Officer at Newlyn Art Gallery. You can visit Newlyn Art Gallery’s website here www.newlynartgallery.co.uk, or connect with them on Twitter (where we may see live updates during the Book of the Night event) at @NewlynExchange. Museums at Night – coming soon to TV and radio near you! 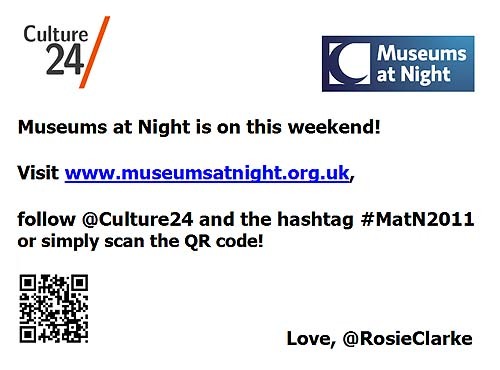 Posted on May 12, 2011 by Culture24 | Comments Off on Museums at Night – coming soon to TV and radio near you! Just a quick heads-up about some of the upcoming publicity for Museums at Night that our fantastic PR guru, Pandora George of Bullet PR, has managed to drum up. Nick recorded a brief interview with Radio 4 this afternoon, and another for Radio Cornwall which will go out at 11pm tonight. I was taken off-guard tonight and ended up recording another for Radio 5 Live, which will go out at around 5AM as part of the Friday morning breakfast show. Nick will be interviewed again for Radio London at 7:25 tomorrow, and will be talking with Ken Livingstone on his Saturday afternoon show. I’ve already recorded one extended chat with Radio Reverb, the Brighton station, about all the events taking place in Sussex (and my love of Motorhead). And tomorrow afternoon I’ll be in conversation with Radio Devon, along with Dee Martin from Torre Abbey who will be discussing their Live Action Cluedo event! Tomorrow is a big day: I’ll be manning the @Culture24 twitter account and livetweeting along with the ITV Daybreak programme tomorrow morning. The Museums at Night venue the crew will be reporting live from is Explosion! The Museum of Naval Firepower in Gosport. We’re expecting this feature to start at around 7:15 in the morning – so if you’re awake at this shockingly early hour, please do tune in to support the Explosion staff! Comments Off on Museums at Night – coming soon to TV and radio near you!